To the golfer not paying attention, the names Lee Schmidt and Brian Curley might not mean much. However, when you look closely, this dynamic golf course design duo has created some of the best golf courses around the world, including right here in the city that glitters and all the way to the faraway locale of Asia, and many destinations in between. The two are as respected as any top “name” designers and the need to keep three official offices worldwide proves they are in demand. Schmidt and Curley’s home base is Scottsdale, Arizona, but they also have locations in Haikou and Kunming, China. 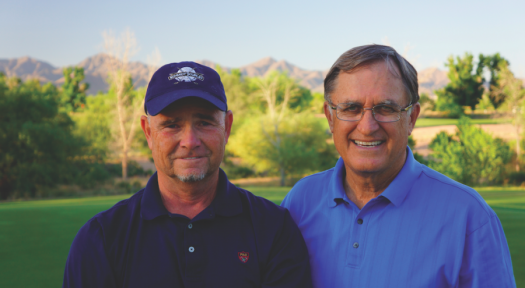 Besides the two namesakes, the company features three additional members of the American Society of Golf Course Architects. 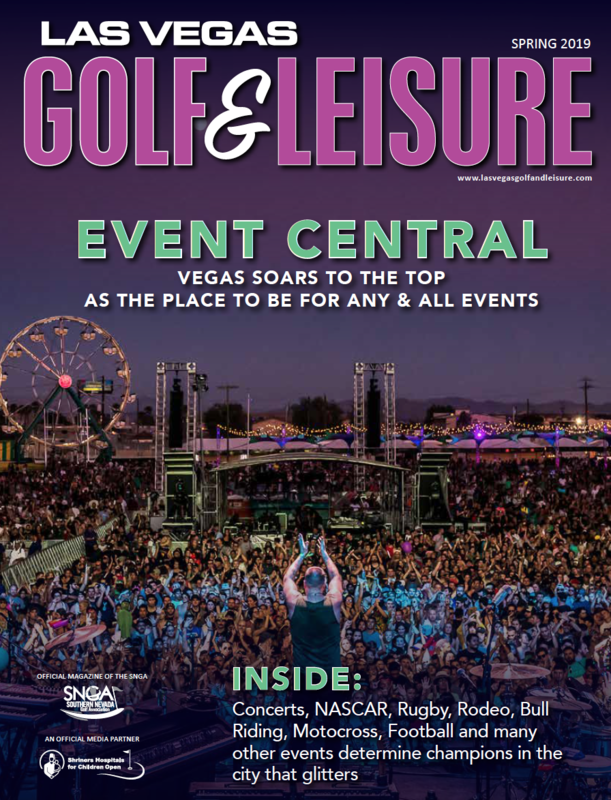 Their prolific work in the Las Vegas area speaks for itself and includes Bali Hai Golf Club, Siena Golf Club, Mojave Resort (Laughlin), Durango Hills Golf Club and remodels of Wildhorse and Stallion Mountain. 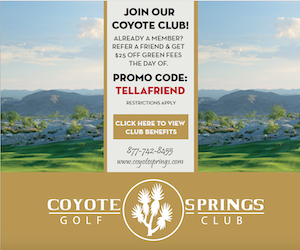 Curley was also intimately involved in the creation of two of the three Pete Dye signature golf courses at the Las Vegas Paiute Golf Resort. 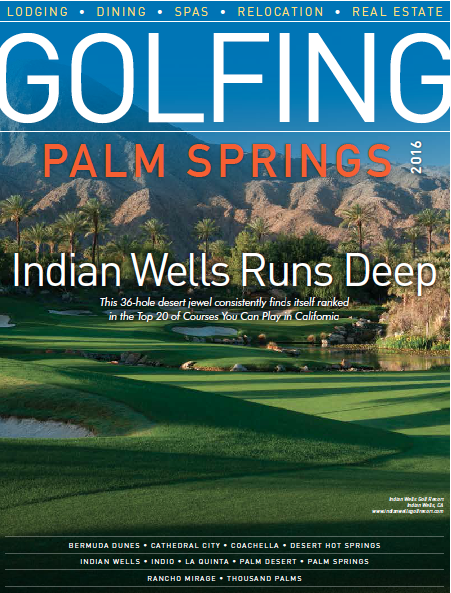 At the time in the early to mid-nineties, Curley was a lead architect at Landmark Golf, the group brought in by Paiute leadership to make the resort a reality. Bali Hai and Siena were also two enjoyable Vegas projects and each opened in 2000. They were the first two Vegas courses to be branded as Schmidt/Curley signature courses. Siena was inspired by Italia and features a Tuscan feel in the desert with holes decorated by native vegetation, waterfalls and Italian-inspired buildings. The course also features rolling fairways, distinct bunkering and is played in the shadows of the Spring Mountains. Bali Hai was inspired by legendary Vegas gambler and golf course operator Bill Walters, whose reputation preceded him on many levels. Curley distinctly remembers getting a call on his cell phone from Walters one day and a partnership was created very quickly. Walters was passionate about the new project and was committed to providing a quality experience at every level, despite understanding there would be some challenges. Curley wasn’t overly impressed with the site where the course was to be built because it was sandwiched between the Strip and the freeway, plus it was filled with caliche, a concrete-like substance that causes nightmares for builders in the desert. “You could say it wasn’t the greatest site ever given to an architect,” says Curley with a laugh, adding that the plot was also small in comparison to most course projects. Walters was the vision behind Bali Hai’s tropical theme while Schmidt and Curley were left to come up with a workable routing that would meet the high standards of their newest client and be feasible given the limitations of the land. "If I hadn't seen the (Bali Hai) site before, I would not have believed it was possible,” wrote Whitten in the pages of Golf Digest. “Where there was once nothing, there is now a beautiful, engaging 18 holes. This was major transformation on the scale of Shadow Creek in North Las Vegas, perhaps more impressive, given the number of limitations of this property. Schmidt and Curley did a masterful job of routing a full length 18-hole golf course into the slender tract of land, a textbook case that ranks with the masterful routing on narrow rectangles by Willie Park or Donald Ross." Pretty high praise for two under the radar, “no name” architects.